Professor David Ullman is among the world’s leading authorities on demonic literature. Not that he’s a believer. He sees what he teaches as a branch of the imagination and nothing more. So when offered a luxury trip to Venice to consult on a ‘phenomenon’, he accepts, taking his 11-year-old daughter Tess with him. Amidst the decadent splendour of the city, David makes his way to the address he’s been asked to visit. What he witnesses in the tiny attic room shakes him to the core: a man restrained in a chair, clearly insane. But what David hears the man say is worse. The voice of his father, dead for 30 years, repeating the last words he ever spoke to his son. Words that have left scars – and a mystery – behind. Terrified, David is determined to leave with Tess as quickly as possible. But he can’t shake the feeling that something is following him. And then, before his eyes on the roof of their hotel, Tess disappears. But before she falls into the Grand Canal’s waters, she utters a plea: “Find me”. 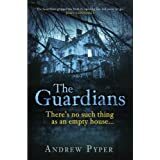 From the outset, Andrew Pyper plunges the reader into a nightmarish tale of demonic possession in this taut, intelligent and utterly gripping thriller, rich with literary allusion, tinged with horror, and providing a fascinating exploration of the darkest corners of the human psyche. As Professor David Ullman experiences a truly terrifying descent into a hellish world at odds with his normally morally detached study of demonic literature, he embarks on an emotional and physical journey fuelled by his love for, and desperation to find, his missing daughter. Ullman is a fascinating character and carries the weight of the story admirably, inured with a single-minded determination to overcome the dark forces at play, but beset with his own ongoing battle with the dark shadow of depression. 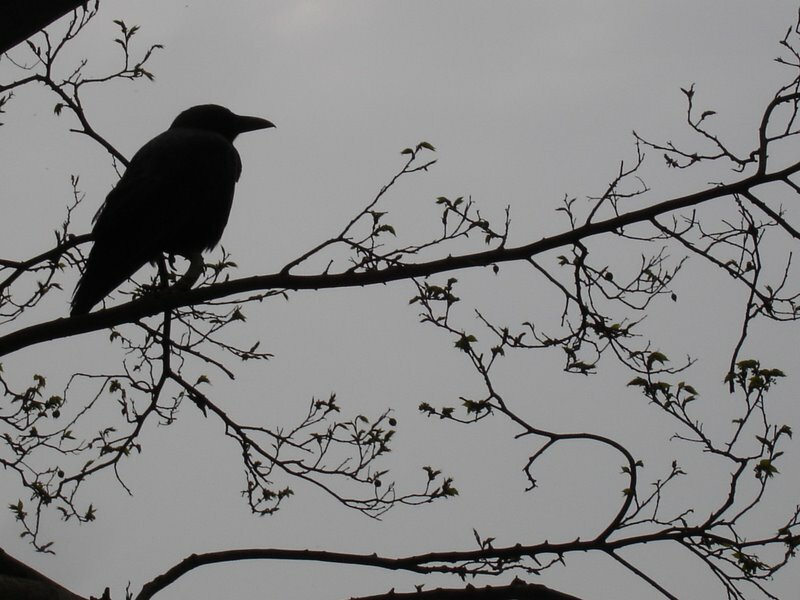 Although his scholarly reputation has been established by his innate understanding and study of demonic literature, when we first encounter him he has a detached attitude to the dark realms that are the focus of his study and is a stalwart non-believer. What Pyper cleverly imbues in Ullman is a sense of doubt about things unseen as he begins to bear witness to, and seeks to defeat, otherworldly elements that begin to gnaw at his consciousness and lead him to question everything he thinks he believes in. Ullman draws on his knowledge of demonic texts- in particular John Milton’s ‘Paradise Lost’- to navigate and begin to understand the nature of the unfolding events and to decipher the clues left by his demonic nemesis. Ullman is initially a man slowly being undone by his dependence on his own rationality, but who strives to open his mind to a greater under-standing of things beyond the rational. Ullman is accompanied on his journey by Elaine O’Brien, an academic colleague specialising in psychology, and experiencing her own crisis with the diagnosis of a terminal illness. She is a feisty, straight-talking and grounded woman who embraces the peril of her involvement with Ullman with a clear-headed approach and an inate desire to throw caution to the wind despite the possible danger. Their relationship is beautifully portrayed by Pyper which pivots between the jocular nature of best buddies to moments of heartwrenching sadness and for me, was one of the real strengths of the book. The breadth of this book in terms of location and sense of place, is awe inspiring as Pyper invests in his character of Ullman the role of wanderer, mirroring the role of Satan and his demonic followers in Milton’s ‘Paradise Lost’- a text that has established Ullman’s position of renown in the field of academia. As Ullman reads into the messages he receives from a supernatural source as to the whereabouts of his daughter, he is led initially from Venice (the location of his daughter’s supposed death) to a journey through the heartland of America, and encounters with acts of demonic possession which lead him to question his own beliefs in the tangible nature of life and the possibility of the existence of an ancient evil beyond human belief. 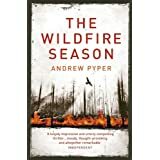 Every location is perfectly realised, so that the reader is immediately esconsed in the feel and atmosphere of the surroundings, and this is particularly palpable in Pyper’s descriptions of Venice and the rural wasteland of North Dakota. 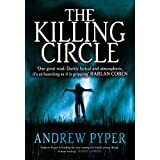 The darker aspects of the locations seem to characterise and amplify the facets of the plot unfolding within them, adding to the sinister feel of the whole story. You know, normally I wouldn’t be interested in a book dealing with demonic possession, etc. But the Venice setting is irresistible and I’m glad that you found the characters to have some depth and ’roundedness.’ Thanks for this detailed, thoughtful and intelligent review.